Pask Group is a leading Australian developer with a legacy of over 80 successful developments that thousands of Australians are delighted to call home. 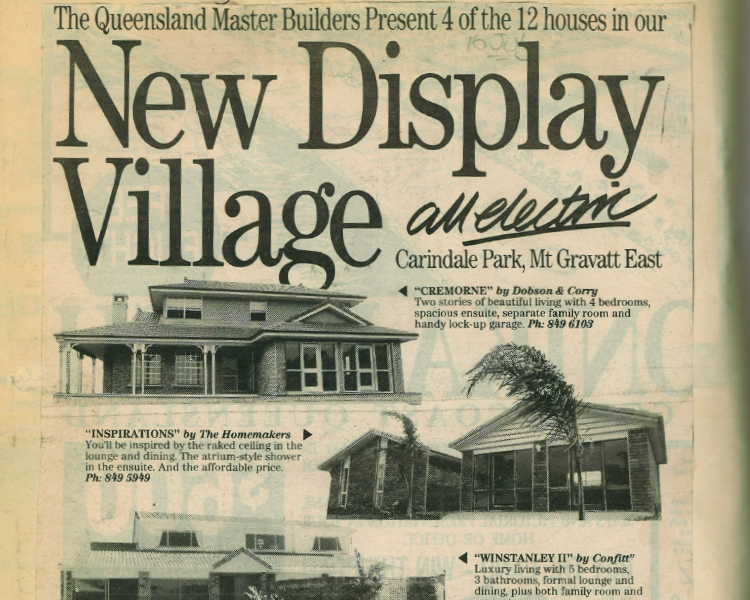 Established in 1969, the Group’s reputation is built on consistently delivering premium residential communities in both Queensland and Victoria. We’ve evolved beyond greenfield developments with retail, medium-density housing and boutique apartment projects. As a family-owned and operated business, we have stayed true to the vision of founder, Nev Pask, fostering a culture that promotes excellence and commitment to quality. Our customers buy with confidence, knowing that nearly half a century of experience is invested in every project. We take a hands-on approach, making it our duty to create places that people are thrilled to call home. Our method has always been to carefully select premier sites and work closely with a dedicated team of award-winning professionals and government stakeholders, turning our visions into realities and always keeping our promises. The family name is on the business because it helps us to not only meet expectations, but raise them. Regardless of what project we take on, the goal remains the same: to create thriving local communities. Our goal is to establish the building blocks of a warm neighbourhood. We do this by carefully combining all of the necessary ingredients for each location – innovative urban design, sustainable engineering and landscaping solutions and unsurpassed quality building standards – creating and breathing life into spaces that are as functional as they are beautiful. Each project has a unique personality that comes from working closely with stakeholders and responding to the natural attributes of each site. Pask Group always strives to deliver community and recreational facilities as early as possible in our projects – often the ‘heart’ of a development can be overlooked. Instead, we’ve had success working with local artists to create signature sculptures and public art for our parks and entrances, as well as delivering neighbourhood shopping precincts within our developments. It’s this human element and consideration of community that has gained Pask Group estates recognition as premium addresses that enrich the local area. The importance we place on both current and future generations is further reflected in our financial sustainability. We take pride in meeting our obligations and have specific criteria that must be adhered to before selecting and developing our projects, which are self-financed by our own resources. Our customers and stakeholders can take comfort knowing that we will always meet our commitments. Our founder, Nev Pask, was recognised as one of Australia’s most respected property developers and businessmen, receiving the Centenary Medal and the UDIA 2015 Allen Vogen Distinguished Service Award. Together with his wife Barbara, they were are formidable team and created a remarkable legacy. Born in the shadow of the Great Depression and living through WW2, they were part of a unique generation of Australians; hard working, resilient and independent. They were great savers and lived well within their means in times that were often very difficult, particularly in those early years. Nev seemed to naturally possess the ‘ingredients’ to be a successful entrepreneur and although he did not start his career in the property industry until relatively late in life, his early farm life, work ethic and ‘apprenticeships’ in running a number of small businesses invested him with what he thought was the greatest degree anyone could have; common sense. 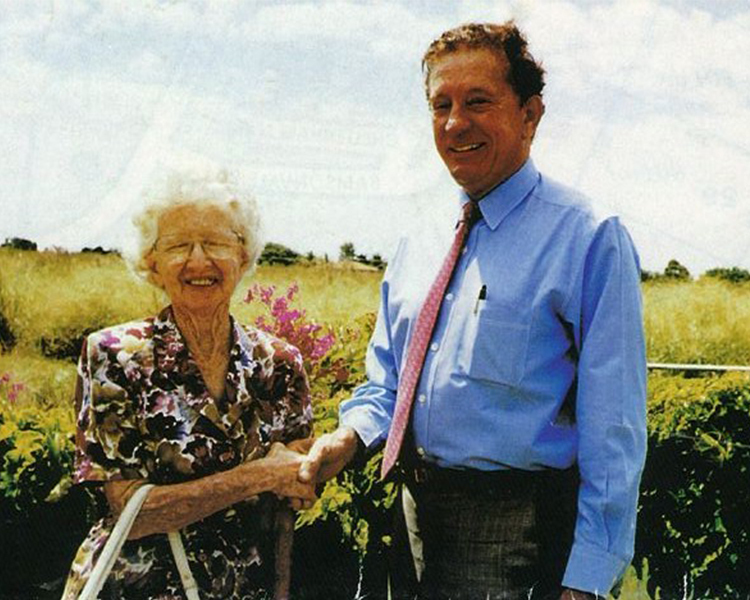 After spending his early childhood in Brisbane, his family moved to Mt Larcom where he worked on the family farm as well as undertaking various seasonal work such as cane cutting and wool pressing. He left home and moved to Sydney when he was 18 and always managed to find work, ranging from various factory jobs to lithographic printing. Nev also found time to pursue a promising amateur boxing career. Nev always had an interest in property and did well buying, renovating and selling homes in the early days where he was able to use the capital gain towards buying a run down dry cleaning business and then a milk run. 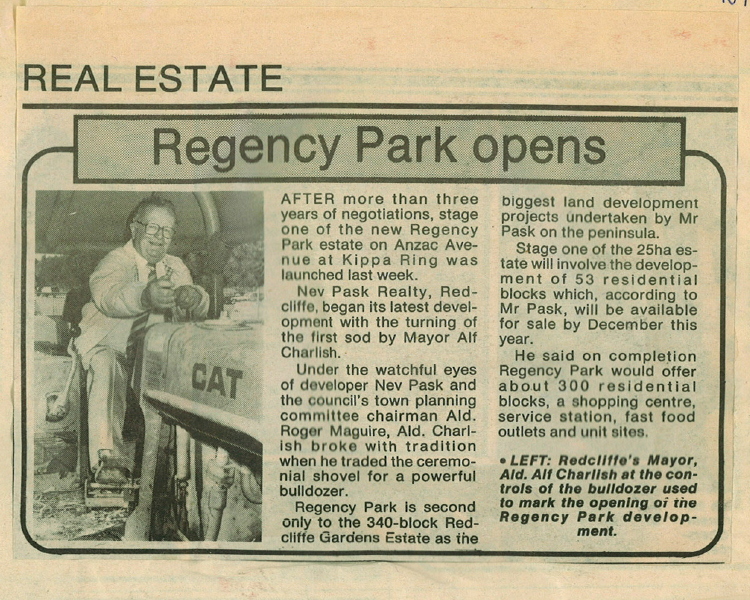 After building up, saving and then selling these businesses, Nev returned with his family to Queensland in the late 1960’s and settled on the Redcliffe Peninsula, where he bought a caravan park and real estate agency. He quickly turned around the underperforming agency and his down to earth country charm, love of a good laugh and ability to relate to anyone meant he had found his niche in sales. His development career also started in Redcliffe and gradually expanded to developing residential estates mainly in South East Queensland and eventually in Victoria, with Arise at Rochedale perhaps representing his proudest achievement in the industry. Nev also made a significant contribution to various philanthropic causes, particularly at Redcliffe, including his ongoing work and patronage for over 40 years with the Police Citizen’s Youth Club, which provided him with great satisfaction in helping many young men find their way. No one achieves anything by themselves and he could not have built the business without the support of his wife, family, his loyal team at Pask Group as well as the professionals and colleagues from private practice and government that he worked with over so many years, many of whom became good friends. He mentored so many people in and outside of the industry, who have continued to follow his philosophies to achieve their own success. Managing Director, Dean Pask, continues to respect the company’s legacy and build upon the reputation of the Pask Group for the next generation, supported by a dedicated and experienced team. We are proud of our heritage and unwavering in our commitment to our customers and stakeholders. We will continue to deliver premium communities to be enjoyed for generations to come. The engagement and commitment of our staff is the cornerstone to our success. We are delighted to have built a dedicated and experienced team with many long-term employees, as well as established strong relationships with service providers over decades. We believe strongly in teamwork and in creating a positive collaborative environment based on openness, respect and trust where we can support each other to achieve our best, both individually and collectively, as we work tirelessly to develop every new community. Loyalty is important and we invest in maintaining positive relations at all levels of the organisation including the contractors we engage, ensuring stable industrial relations and seamless project delivery. Sustainable long-term growth has meant that we have been able to promote from within and invest in the professional development of our team as well as attract the best talent. The result is a team that is highly regarded in the industry and respected by their peers. In addition to the efforts of our team we engage specialist organisations and contractors who help us to continue to set benchmarks in urban, engineering and landscape design, architecture, civil construction, and community facilities. From the landscape architects who design the parks, streetscapes and entrance statements, to the artists and artisans who create the signature sculptures and public art, through to the dedicated consultants, contractors and builders who design and build our developments, we rely on the expertise and skills of these specialist and talented partners to compliment those of our internal team. As with our internal team, we foster and encourage long-term relationships with our specialist partners and service providers and celebrate with them the successful delivery of each new project. We also work closely and value the contribution of all government and authority stakeholders in playing an integral role in helping us to shape every new community. 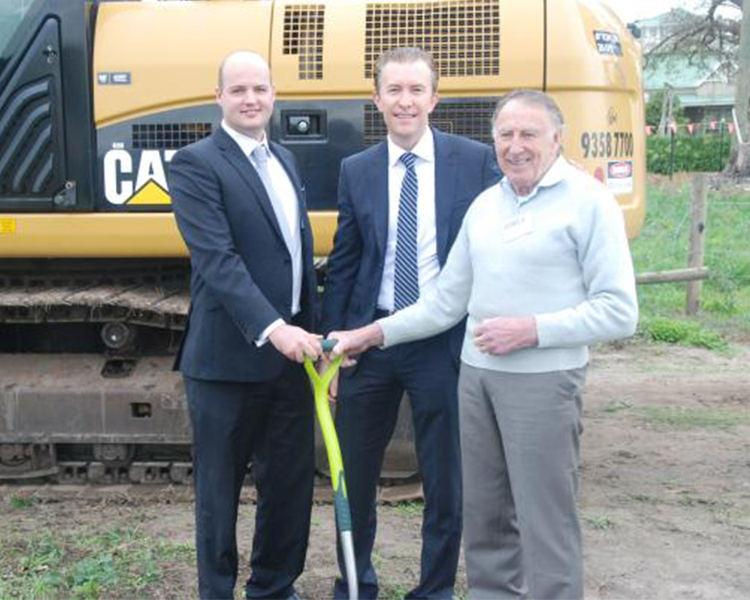 Pask Group recognises the importance of environment and sustainability and leads by example. We believe it is our responsibility to create communities that are sensitive to their social and natural environments. This approach has resulted in initiatives such as our Sustainable Housing, Living and Landscaping Guidelines, which help our residents achieve higher levels of architectural and sustainable design that echo our investment in open spaces and parklands across our projects. These work in harmony with our House Design Guidelines, which are created and administered by specialist architects. They encourage quality, innovative and energy-efficient homes and include mandatory requirements that ensure everyone meets the same high standards. During the planning and construction phases, we aim to reduce our environmental impact where ever possible and have a track record of encouraging the preservation, improvement and introduction of nature reserves, wildlife corridors and award- winning parklands within our developments. At Montruse Estate, Calamvale, over 40 per cent of the total site area is an environmental reserve. 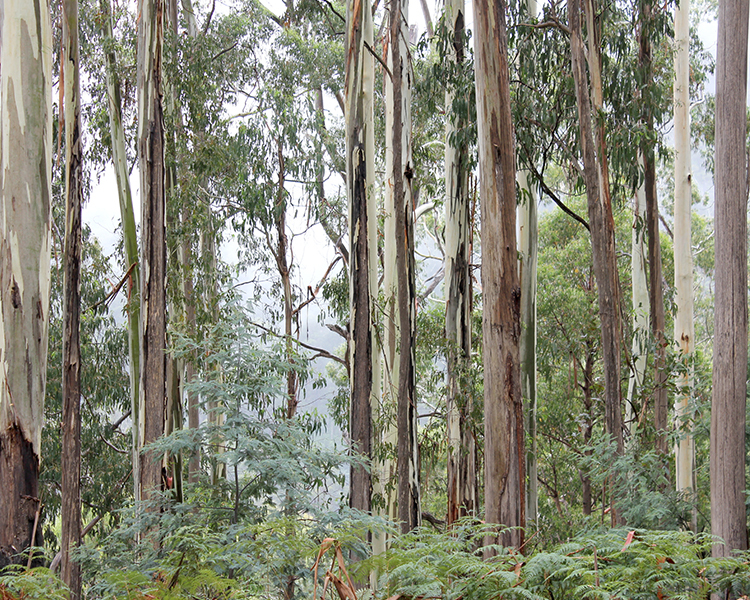 At The Sanctuary, Keysborough, 150-year-old river red gum trees have been retained to stand tall for future generations. 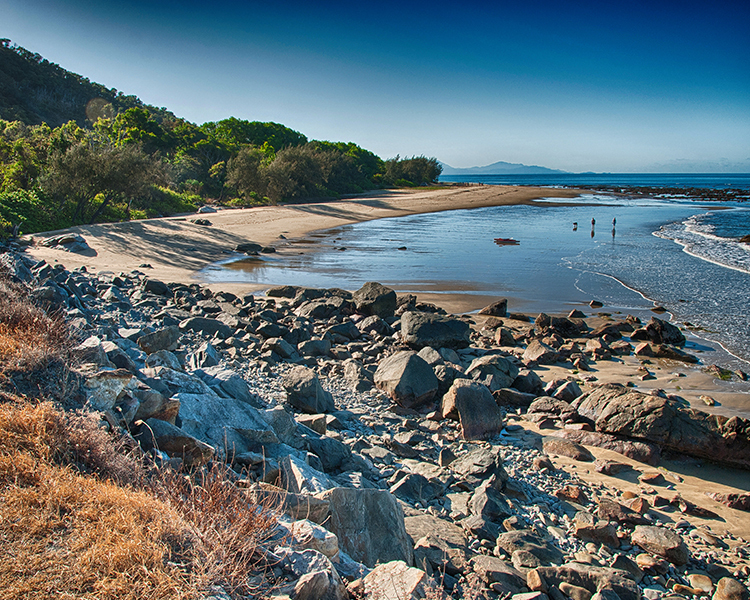 An extensive swale network at the Sunshine Coast’s Chancellor Park provides natural filtration, enabling rainwater to soak back into the ground with overflow being cleansed prior to entering the lake system. 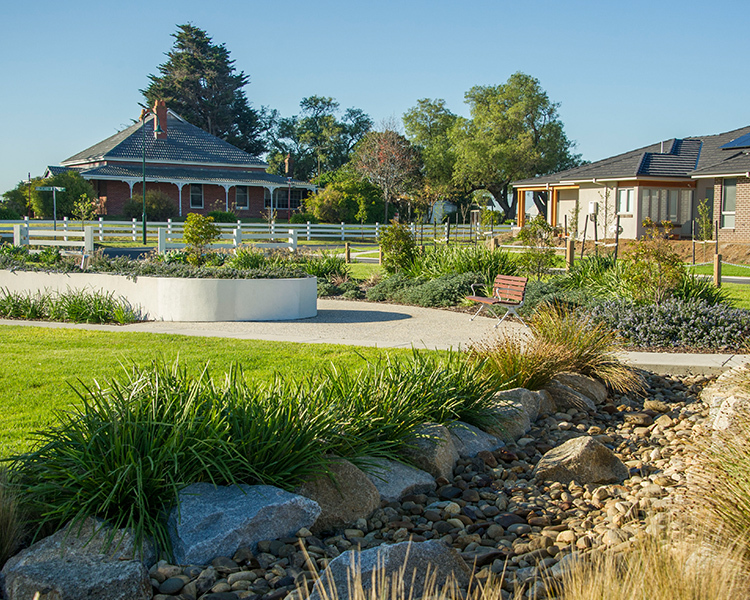 At Sovereign Crest, Rowville, the local platypus habitat was protected and rehabilitated to provide an eco reserve that exists in harmony with the community, while Arise at Rochedale is home to extensive wildlife corridors and is a showcase for water-sensitive urban design. Our Melbourne headquarters is located in the newly built 41X and carries a 5-star Green Star design rating. 41X is the first commercial office building to target carbon neutrality over its 30-year operating lifespan. In addition to our commitment to environment and sustainability, we have also sought to preserve the character and heritage of the local areas where we build new communities. At both our Sanctuary and Circa 1886 estates we have earmarked the heritage-protected homesteads for preservation so they remain a focal point within the developments and survive as important local landmarks for future generations. Pask Group and our team are proud members of relevant industry bodies and organisations. We are active participants in fostering and championing the positive development of our industry. For over 40 years the UDIA (Qld) has played an important role in helping all segments of the property development industry to add real value to Queensland communities. The Queensland (Qld) office is the largest of the UDIA state bodies. The Property Council of Australia is the leading advocate for Australia’s biggest industry – property. Working to champion a strong property industry the vision of Property Council is to drive a thriving industry creating prosperity, jobs and strong communities. The Victorian Planning and Environmental Law Association (VPELA) is a non political multi-disciplinary professional association, concerned with the planning, legal and environment fields. The Association draws its membership from professions involved in the planning and environment fields. The UDIA (Urban Development Institute of Australia) is the peak membership organisation representing the urban development industry. Our purpose is to promote excellence and innovation in the creation of sustainable residential communities in Victoria and to present government with evidence-based solutions to influence policy development.